The periodic domain size (L) was varied, and the behavior of the system over long time was observed. If possible, a point on the system's attractor was used as the starting configuration. 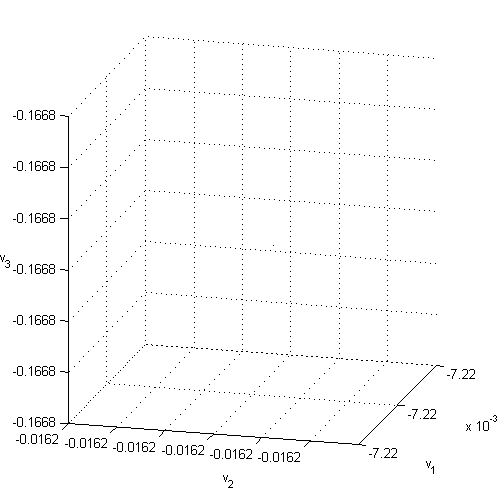 Three plots were generated for the system at each value of L.
The first plot (heretofore labeled Fig 1), is of the solution to the KS equation. The flame height is represented by variation in color. 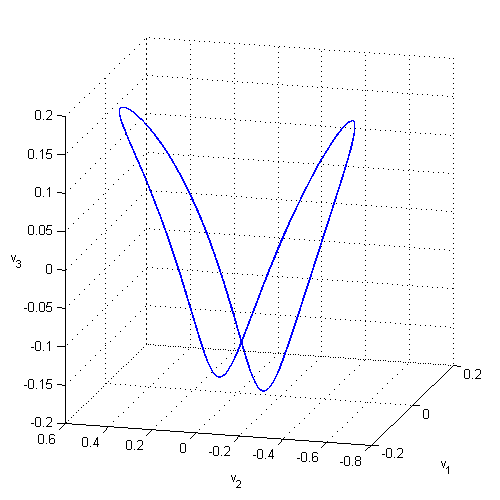 The position along the front is plotted on the vertical axis, and the horizontal axis tracks time. 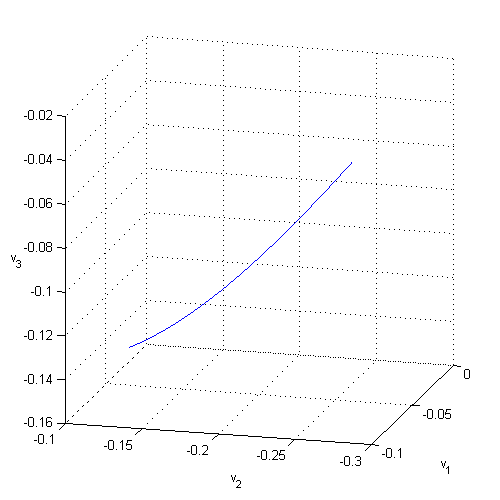 The next plot (Fig 2) created at each value of the domain size, L, was of a long trajectory using the same vector basis as Davidchack. 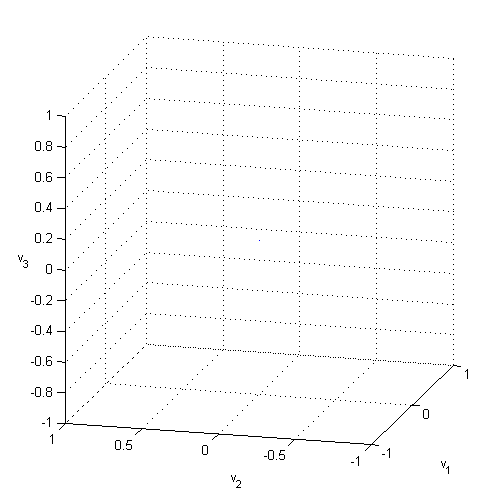 The last plot (heretofore labeled Fig 3), is of the Fourier modes of the solution to the KS equation. What follows is a collection of plots at values of L that gave results deemed interesting. Recall the definition of the periodic domain size and the "dimensionless system size"